In 2019, I will be running the Boston Marathon in memory of my nephew, Drew Micah Smerling Marcus. Drew came into our lives on January 4th, 2018 during a terrible snow storm. Despite the snow, he immediately brightened the lives of all those around him in our family. 5 weeks and 2 days later, our family was crushed at Drew's sudden and unexpected death from SIDS. Nothing can prepare a family for the sudden and piercing loss of one of its children, it leaves a hole in your heart like a void that will seemingly never heal. Each day that goes by, a somber reminder of the life that was taken from us. How do we cope with such a loss in life? How do Drew's two big sisters keep moving forward after their baby brother died of SIDS? That's where The Children's Room came in. The Children's Room provides my nieces with a safe space to relive the memories of the short time they had with their baby brother, Drew. A place to grieve, and to be around others who not only care, but also understand. For adults, it provides a network of people who know our pain, sharing similar scars in their hearts and understanding the struggle of healing but not forgetting. Coping with Drew's death has been a great personal challenge for me. I will never forget the feelings of confusion, helplessness, and sorrow that followed immediately after receiving the devastating news. 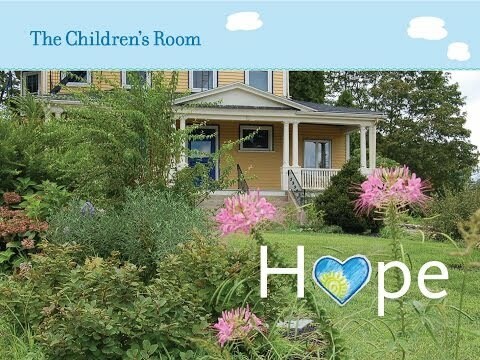 Please help me support The Children's Room by donating to my 2019 Boston Marathon Campaign. I consider running the marathon in Drew's memory to be such an honor, and I am extremely proud to support such an amazing and important organization. Your generosity will go directly to The Children's Room. Directly towards helping families, like mine, who struggle every day with the pain of having lost someone they love.